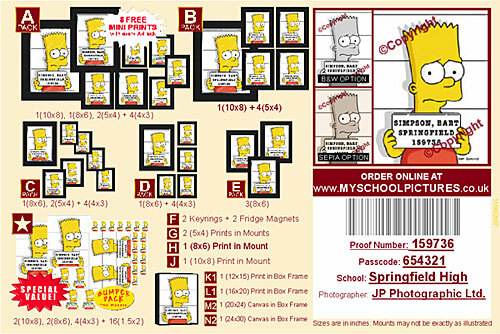 Now for the first time in the UK, schools and school photographers can sit back and relax as the new myschoolpictures.co.uk secure online ordering service takes care of everything including orders, payment and delivery. It even works out the commission that the school is due. All the photographer has to do is take the pictures and FTP the files directly to the lab. Other benefits for the photographer include setting their own prices, advertising on the delivery notes, ability to up sell by offering discounts on related products and targeted emails to promote further sales.